My Doctor Has Released Me to Return to Work, but I’m Not Ready! Oftentimes, when you’ve been off work due to a workplace injury, getting the go-ahead from your doctor to return to work is a huge relief. It can be a sign that things are starting to return to normalcy. But what happens if you feel your doctor has made a mistake? What if you don’t feel ready to return to work? There are several reasons why your doctor may have cleared you despite the fact that you’re not yet feeling 100%. 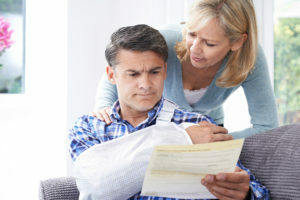 First, your doctor may have a standing agreement with your adjuster or your employer that he won’t keep you from work as long as your employer can find something for you to do. In this case, you may not be returning to your regular job, but at least it will start easing you back into work. That brings us to the second reason your doctor may have cleared you. Many doctors believe that there is a healing power in being active and out of the house. While this definitely isn’t true in every case, there are plenty of instances of clients who were worse off sitting in the house than getting back into shape. However, it is also possible that your doctor may not have a good idea of what your job entails. While that could be down to the fact that your doctor just isn’t familiar with your line of work, it’s also possible that your Rehabilitation Professional gave your doctor an edited job description. Sometimes this happens by choice of the RP; sometimes the employer makes the edits. However, if the doctor doesn’t have a clear picture of what you do, they might clear you for a job you’re not actually ready to do yet. If you have concerns, be sure to take them up with your doctor. Communication is key for making sure that they have a clear idea of your injury and your ability to work. If you believe your doctor has cleared you for work that you’re not ready to do, it’s a good idea to speak with your attorney. They can help you take the next steps and speak to the right people so that you can focus on your recovery.